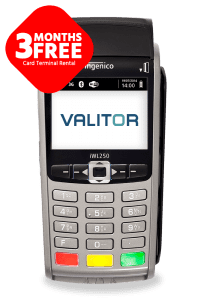 Why you should choose a wireless card terminal? Let customers pay in multiple locations with our Wi-Fi card machines. Businesses don’t always work from a fixed point, so our wireless card machines are an ideal way to allow your customers to pay in a range of locations. For many small and medium-sized businesses, such as retailers, restaurants and bars, wireless terminals allows your staff to take payments across the site and even away from your premises, as long as they are within reach of a Wi-Fi signal. Our Wi-Fi card machines have contactless payment as standard meaning the process of buying goods is quick and convenient for customers. We set up all wireless card terminals at our warehouse and provide all the guides and step-by-step support you need to set up. We also can provide a range of accessories, such as till rolls and a docking stations to charge your terminals. Even if you are new to the technology, we can make it easy for you.